The Lee County Senior Games were held at the Wa-Ke-Hatchee Recreation Center in Ft. Myers, Florida on Friday, Saturday and Sunday February 24 -26, 2012. The tournament drew about 100 players this year. This was a USAPA Sanctioned Tournament - Tier 4. Tournament directors/organizers Nancy Meyer and Cindy Eddleman did an excellent job. Very well organized and very well run. 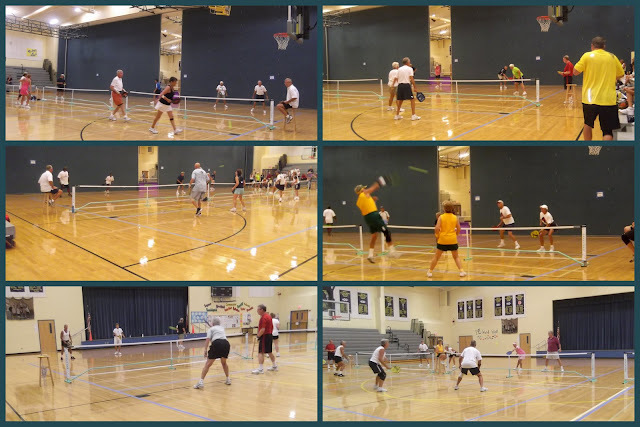 The Singles competition took place on Friday evening - kicking off the three day event. Saturday was the men's and ladies doubles. Each match was best two out of three games played to 11 points- win by two. The back draw was one game to 15 points. 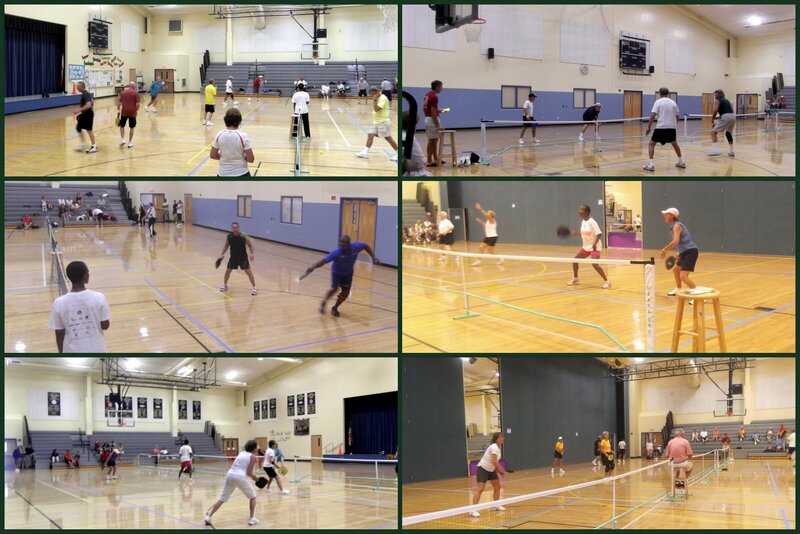 And on Sunday players took to the six indoor courts for the mixed doubles competition. Fruit and beverages were available for all players, and hot dogs and pulled pork barbecue were available to purchase at lunch time. A players lounge was set up for eating or resting between matches. There was some great competition over the three days and we send a special thanks to all those who volunteered to referee the matches. Great Job! CLICK HERE to see the complete photo gallery.